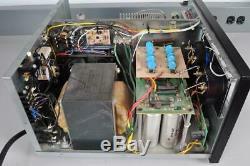 Heathkit SB 1000 Linear Amplifier - YouTube. 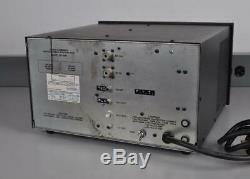 Here is a great single 3-500Z amplifier. This is basically the same as the Ameritron AL-80. 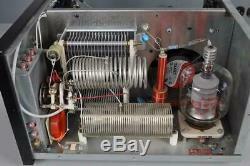 It is in good working order and comes with an almost new RF parts 3-500ZG tube. 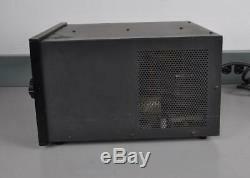 It gets up to 850 watts keydown with 100 watts drive. Cosmetically front panel is great, but thee is a spot on top where something took off some of the paint. The previous owner added the following: grid fuse resistor, meter protection diodes and better parasitic suppressors. It covers 160 thru 10 meters Ham bands only. 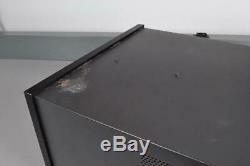 Please see video and pictures for actual working and cosmetic condition. I do my best to check them out and list all defects I find, but some of these units are 20 to 40 years old or more. Since old capacitors, resistors, and the other parts can change or fail at anytime we cannot fully guarantee them. Unless stated otherwise this is used equipment. Honesty is the best policy. Sometimes we can not check out every function, and unless stated we do not completely rebuild or align equipment. We may do some repairs to get it operating. If you have any question about a certain function please ask, otherwise the new owner will be responsible for fully checking them out. Just ask us for combined invoice total. Thanks for viewing my items. I started out as a Ham when I was a teenager, call sign K6RAR. Went into TV and VCR repair as an adult. My call is K6RAR hamming since1976. Get images that make Supersized seem small. Tailor your auctions with Auctiva's. 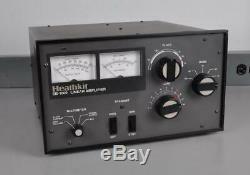 The item "HEATHKIT SB-1000 HF AMPLIFIER" is in sale since Sunday, April 7, 2019. This item is in the category "Consumer Electronics\Radio Communication\Ham, Amateur Radio\Ham Radio Amplifiers". The seller is "robtram" and is located in Hernando, Florida.